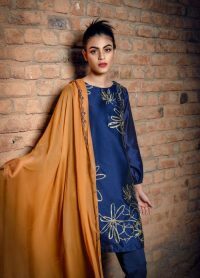 This alluring “Casual Wear” dress centers on a style and cut that depicts a time in the past through whimsical fabrics and a classic colour scheme. 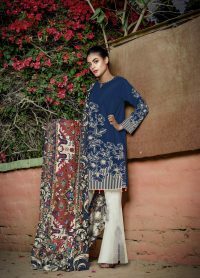 This navy blue khaadi net shirt is heavily adorned in beautiful heritage block printing along its length. 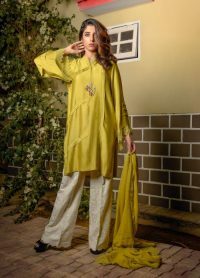 A-line cut shirt with fitted style mustard indian raw silk straight pants. Paired with self net dupatta to create a piece that is ever lasting and glorious. The austerity with fervid detailing is traditional grandeur at its best. On chilly festive nights, you will look unquestionably wonderful rocking the full length sleeves. 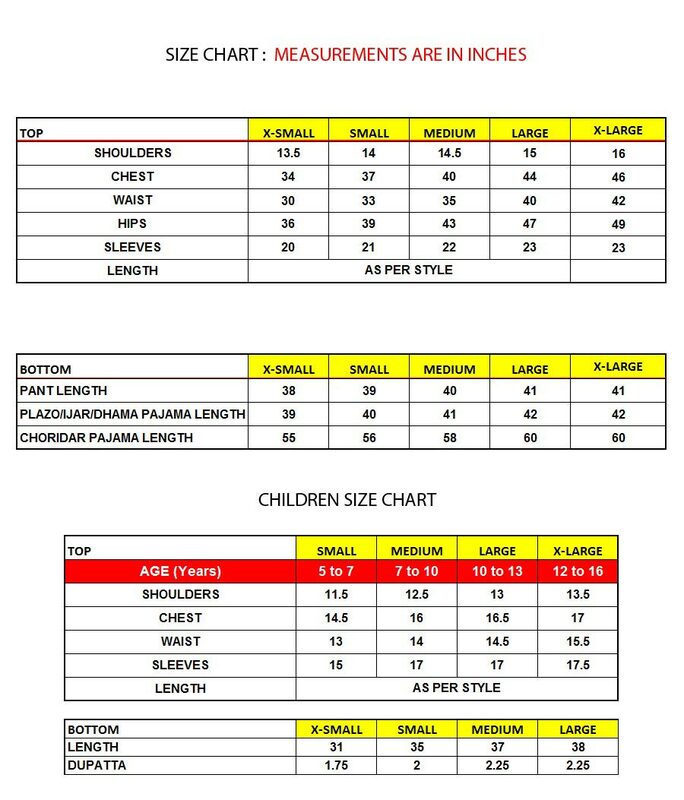 And for those who prefer otherwise can always choose different length of sleeves such as three-quarter or even short length. Get your hands on this astonishing outfit now!